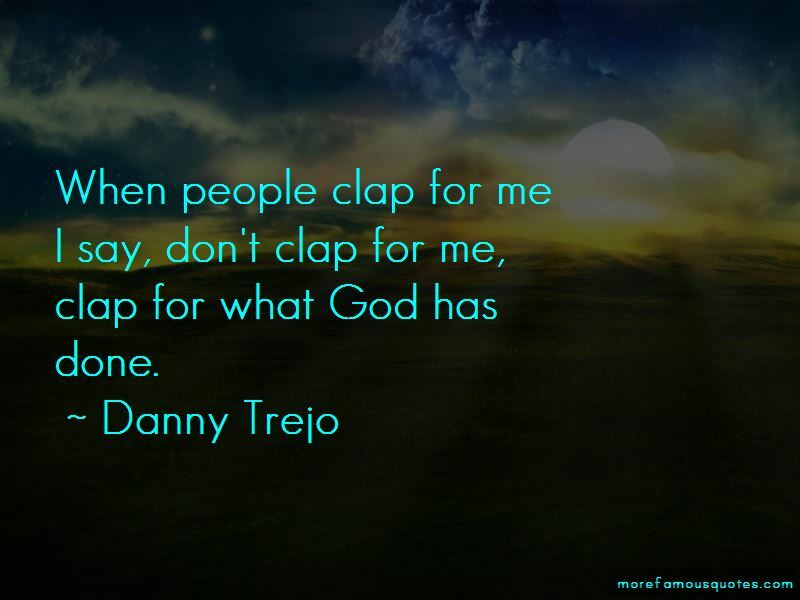 Enjoy the top 23 famous quotes, sayings and quotations by Danny Trejo. When people come at me they can't win, they think they can, but they can't. I'll just walk away. I love to work, so give me what you've got. I'll play a tree, if you want me to. If you want fruit on it, then pay me more money. Otherwise, I just love to work. I would have been content with still playing Inmate #1. I worked on every prison movie made, from 1985 to 1991. I would go from movie to movie to movie. Nobody gets killed when they're happy. It always starts with an argument, or a debt. I didn't make a deal with God, because you can't make a deal with God. He put me here to talk to kids and to talk to drunks and help addicts. He gave me this "job" which makes it a lot easier to get through to people. Want to see more pictures of Danny Trejo quotes? Click on image of Danny Trejo quotes to view full size.